Black men are disproportionately affected by prostate cancer. Age-adjusted new prostate cancer diagnoses per year for Blacks far exceed those for whites men, and age-adjusted prostate cancer death rates for Blacks have been over twice those for whites for over two decades. The lack of knowledge about screening and a weak relationship with the medical community exacerbates the situation, as demonstrated by the fact that prostate cancers in Black men are often diagnosed at advanced stages. 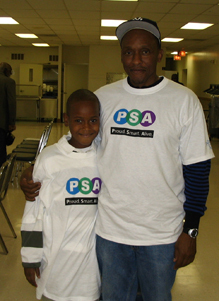 Successful outreach programs, such as those developed by The Prostate Net®, educating Black men about their personal risk of the disease and treatment options are imperative to surmount these obstacles. The Crowns Initiative™ engages women in the educational process, because The Prostate Net® recognizes the importance of women's care giving and leadership roles. This project celebrates the tradition of wearing lavish hats, or Crowns, to church. A Crowns™ event combines a health fair, fashion show and a free prostate cancer screening in one event. Women earn a point for each man they bring to the event, and five points for each man they bring who gets screened. 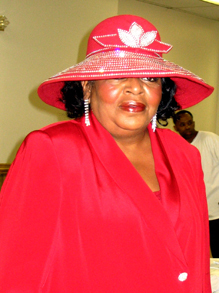 The woman earning the greatest number of points wins an award for her church's health ministry and another award to purchase a new set of crowns. The Crowns Initiative™ was launched in September of 2006 in three Chicago churches. In 2008, the program continued in the Chicago churches, and expanded to include two churches in the District of Columbia and Maryland. The events were publicized through a three week flight of radio commercials placed on two local Black Gospel music related stations in Chicago and one in Washington D.C., as well as other church radio broadcasts and health ministries. Our program partners in Chicago were the Chicago Department of Public Health, which provided free screenings and treatment; the Black Nurses Society, which performed blood draws on-site; and the Thapelo Institute for African-American Men's Health. In Washington D.C., we partnered with Howard University Cancer Center, and the Washington, D.C. Department of Public Health. In 2006, there were 289 participants and 197 men were screened. In 2008, there were 637 participants and 516 screened. We learned that Illinois had the 6th highest rate of incidence of prostate cancer and mortality in the United States, with the heaviest concentrations in the minority communities of Chicago, and that the District of Columbia and Maryland have the 1st and 8th highest prostate cancer death rates in the nation per capita. For 2009, we propose to continue the Crowns Initiative™ in Chicago and expand into Chicago and expand into Atlanta and select cities in North Carolina. Please contact The Prostate Net if you are interested in participating in the Crowns Initiative™.